Ask Andru: How do I stop iPhoto from opening when I plug in my iPhone? Apple tries to make it easy to use all of its products together harmoniously, but there are times where it might get in the way. Today we received a question that asks how to stop iPhoto from opening automatically whenever an iPhone is plugged in, and that’s exactly the kind of synergy that can get annoying when all you want to do is charge up your device while you work. Luckily, I’ve got your answer. There are a couple of different ways to do this, and they look similar at the surface level, but actually serve two different purposes. Let’s explore them. Question: How do I stop iPhoto from automatically opening whenever I plug in my iPhone? It’s annoying! This actually applies to all iOS devices, be it iPhone, iPad, or iPod touch. 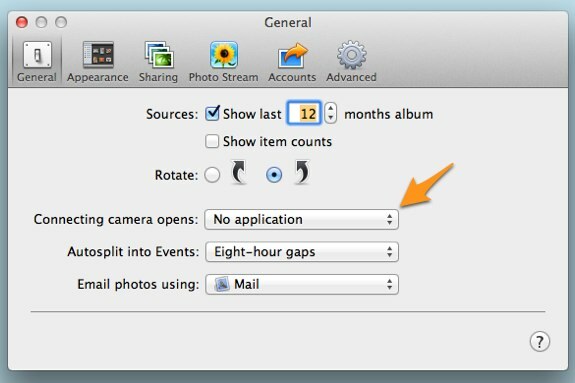 The reason that iPhoto opens up is because your Camera Roll has images in it, and your Mac recognizes your iPhone as a camera. 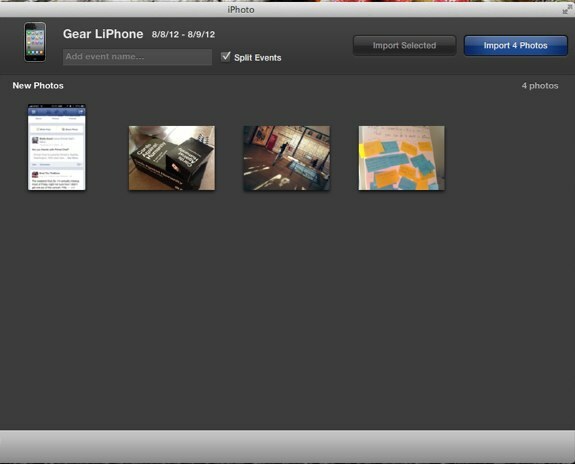 iPhoto launches, ready to import your latest images to clear your Camera Roll. 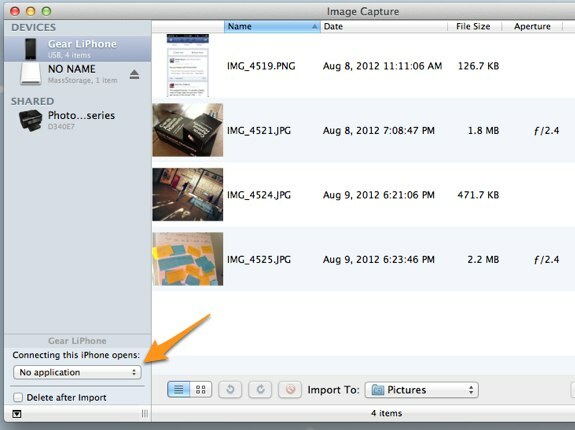 Now you can set what happens when this device is connected by using the “Connecting this iPhone opens:” setting, found in the lower-left portion of the Image Capture app. That’s it! Now you’ve set a device-specific preference that won’t interfere with other cameras and devices when you connect them to your Mac.